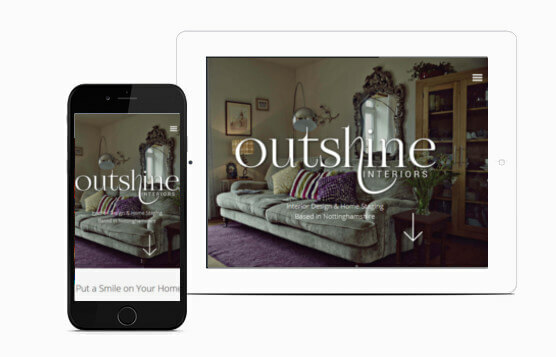 Outshine Interiors is an interior design and home staging company based in Nottinghamshire. Outshine came to JKE as a new startup business looking for a web presence to match their flair for design. We created a simple but eye catching design using css animation to add a sleek professional feel. Using some great images provided by Outshine and a modern colour palette we were able to create a website that Outshine were absolutely thrilled with. As with all our new websites we will provide 12 months free support to ensure the website is performing and any updates can be done whilst Outshine Interiors fine tune their services during the first year.